This article is about prophecy and history. Its purpose is to show that the church that Jesus Christ founded in Jerusalem was destroyed as foreseen in Revelation 13:7 and how Christ’s church changed when the Roman emperor Constantine made it his own personal church for the political purpose of uniting the Christian and heathen people of his empire to ensure civil tranquility. However, before we look at the historical aspects of this, let’s look at how this was a fulfillment of biblical prophecy. Although all of the early apostles foresaw that there would be an apostasy and wrote that in the last days there would be a restoration of all things, in my opinion the clearest example of this is found in the Book of Mormon and in the book of Revelation. The angel here very clearly states that four generations would pass by in righteousness. Since we know this was literally fulfilled on the American continent, then we should not be surprised if it likewise happened on the European continent. Then in 1 Nephi 13:1-10 we read “And it came to pass that the angel spake unto me, saying: Look! And I looked and beheld many nations and kingdoms. And the angel said unto me: What beholdest thou? And I said: I behold many nations and kingdoms. And he said unto me: These are the nations and kingdoms of the Gentiles. Then the angel is going to explain what will happen in the old world. And it came to pass that I saw among the nations of the Gentiles the formation of a great church. And the angel said unto me: Behold the formation of a church which is most abominable above all other churches, which slayeth the saints of God, yea, and tortureth them and bindeth them down, and yoketh them with a yoke of iron, and bringeth them down into captivity. And it came to pass that I beheld this great and abominable church; and I saw the devil that he was the founder of it. beautiful, like unto my people before they were slain. And it came to pass that I, Nephi, beheld that the Gentiles who had gone forth out of captivity did humble themselves before the Lord; and the power of the Lord was with them. And I beheld that their mother Gentiles were gathered together upon the waters and upon the land also, to battle against them. And I beheld that the power of God was with them, and also that the wrath of God was upon all those that were gathered together against them to battle. And I, Nephi, beheld that the Gentiles that had gone out of captivity were delivered by the power of God out of the hands of all other nations. And it came to pass that I, Nephi, beheld that they did prosper in the land; and I beheld a book, and it was carried forth among them. the Lamb of God. Wherefore, these things go forth from the Jews in purity unto the Gentiles, according to the truth which is in God. So we see that according to the prophecy given to Nephi, a church would come forward and pervert the Holy Scriptures. Now, let’s see what the Bible says. In Revelation 13:7 we’re told, “And it was given unto him to make war with the saints, and to overcome them.” This is the first beast who defeated the church Christ established on the old continent of Europe and the Middle East. Then in chapter 12 is a brief report about the church beginning from its past and telling us about its future. The apostle John wrote, "And there appeared a great wonder in heaven; a woman clothed with the sun, and the moon under her feet, and upon her head a crown of twelve stars" (Revelation 12:1). 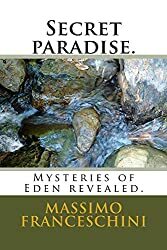 It is widely accepted that the visions that John had on the Isle of Patmos are figurative in nature. That is, everything he wrote represents or is symbolic of something other than what is actually mentioned. For example, in the above verse there isn't a real woman who was clothed with the real sun, standing upon the real moon who wore a real crown that was large enough to have twelve real stars affixed to it. Therefore, each of these items must represent something different than what is actually being described. The hard part for many is determining what each figure represents. That shouldn't be too difficult because for each of these real items to be symbolic, they must have some sort of relationship to whatever they are representing. Therefore, the question can be asked, "Who or what is represented by the woman, the sun, the moon, the crown and the twelve stars?" Unfortunately, from this one verse alone, it is impossible to make that determination. But let's put the whole story together. Continuing, the revelator wrote, "And she being with child cried, travailing in birth and pained to be delivered. And there appeared another wonder in the heaven; and behold a great red dragon, having seven heads and ten horns and seven crowns upon his heads, and his tail drew the third part of the stars of heaven, and did cast them to the earth, and the dragon stood before the woman which was ready to be delivered, for to devour her child as soon as it was born" (Revelation 12:2-4). The dragon is representative of the devil. The fact that he has "seven heads and ten horns and seven crowns" shows what great power he has. Furthermore it shows that the devil has more than one power at his disposal through which he rules. Since God uses only one power - the priesthood - it wouldn't be too far fetched to say that Satan uses several "priesthoods" to accomplish his goals. This great, powerful dragon drew away one third of the stars of heaven, and these stars then were cast to the earth. This is a clear reference to the war which Satan waged in heaven. The stars then are the angles of heaven who followed after him. But who is the woman, and who is the child she delivered? Some say that Christ was the child. But that still doesn't explain who the woman was. It certainly isn't Mary, the mother of Jesus. Furthermore, the man child can't be Christ if the very next verses are to make any sense. "And she brought forth a man child who was to rule all nations with a rod of iron: and her child was caught up unto God, and to his throne. And the woman fled into the wilderness, where she hath a place prepared of God, that they should feed her there a thousand two hundred and threescore days" (Revelations 12:5-6). It must be kept firmly in mind that everything in Revelation is symbolic. The woman and man child spoken of are not real men and woman, but represent something much different. Notice also that when the "man child" was born, the dragon was waiting to devour him. Instead, the child was taken off the earth and was returned "unto God and his throne", while the woman fled into the wilderness. Furthermore, there was a place prepared for her to go to in the wilderness where she was feed for 1260 days. There is no similarity between this story and the life of Christ or Mary, His mother. The story tells us that Satan and his angels came to earth where they set about trying to tempt Adam and Eve. In fact, they were successful in separating these two people from their creator. The gospel was then given to man, and every time it was preached, Satan was there to destroy it. And it was because of this that the gospel has been taken off the earth at various times because of the wickedness of man. Thus, the "man child who was to rule all nations" represents the gospel of Christ, and the "woman" who brings forth the gospel in much pain and travail is the church. Then what is the "sun" "moon" and "twelve stars" symbolic of? The "sun" is the Son of God, who shines forth with the glory of the Father, whose light and life extends to all, just as the sun gives light and life to all. The twelve stars represent the twelve apostles, shining brightly as they spread forth the gospel, and they form the ruling power of the church. The "moon" represents that which is changeable. The real moon doesn't always look the same to us. Sometimes it's full, sometimes it's only half full, sometimes it's just a quarter full, and sometimes it isn't there at all. The symbol of the church standing on the moon shows how the church remains constant even though the world changes. We know about the church Jesus established in Palestine, but is that the only church of Christ? He told His disciples, "Other sheep I have which are not of this fold: them also I must bring, and they shall hear my voice; and there shall be one fold and one shepherd" (John 10:16). Who were these other sheep? Most Biblical scholars today feel that Jesus was referring to the Gentiles when He made this statement, but the scriptures tell a different story. In Matthew 10:5-6 we read, "These twelve Jesus sent forth, and commanded them, saying, go not into the way of the Gentiles, and into any city of the Samaritans enter ye not: but go rather to the lost sheep of the house of Israel." One day as Jesus came to the coasts of Tyre and Sidom, "Behold a woman of Canaan came out of the same coasts, and cried unto him saying, Have mercy on me, O Lord, thou Son of David; my daughter is grievously vexed with a devil. But he answered her not a word. (pretty strange knowing the love and kindness of Jesus) And his disciples came and besought him saying, Send her away; for she crieth after us. But he answered and said, I am not sent but unto the lost sheep of the house of Israel" (Matthew 15:24, italics added). This woman was not of the house of Israel. She was a Canaanite. Even though she acknowledged Him as the Lord, the Son of David, and beseeched him with tears on behalf of her ill daughter, yet "he answered her not a word." And the reason he didn't answer her is because he was sent to preach only to those who were of the house of Israel. Also, when she said:" Then came she and worshipped him saying, Lord help me. But He answered and said, it is not meet to take the children's bread, and to cast it to dogs." This would seem to be pretty insensitive thing for Jesus to say until we realize that He was pointing out the real reason of his mission. Furthermore, we see that answer He gave didn’t offend the woman. Apparently she understood what He meant and accepted it. Therefore, the "other sheep" He had to visit and who would actually hear his voice had to be from the house of Israel. Notice, there is no record of even one Gentile, let alone a whole fold of Gentiles, ever hearing Christ's voice preaching the gospel. Furthermore, these other sheep had to be lost. But where in the Bible does it talk about Christ going to the lost sheep of the house of Israel? (see also Acts 11:18). In Micah 4:1,6-7 we read, “But in the last days it shall come to pass, that the mountain of the house of the Lord shall be established in the top of the mountains and it shall be exalted above the hills.... It is interesting because we know through this verse that it is referring to the last days and also it is speaking about the Temple, and the description fit very well to the countryside of Utah, where the Temple is.verse 6 "In that day, saith the Lord, will I assemble her that haltheh, and I will gather her that is driven out, and her that I have afflicted; And I will make her that halted a remnant, and her that was cast far off a strong nation: and the Lord shall reign over them in Mount Zion from henceforth even for ever. The remnant are the Jews, they always were in Palestine at the time of Christ, I guess you already know who they are the second one. In Zephaniah 3:19-20 we read, "Behold, at that time I will undo all that afflict thee: and I will save her that halteth, and gather her that was driven out, and I will get them praise and fame In every Land where they have been put to shame. At the time will I bring you again, even in the time that I gather you: for I will make you a name and a praise among all people of the earth, when I turn back your captivity before your eye, saith the Lord." In the Bible we learn that ten of the twelve tribes of Israel were taken captive by the Assyrians and carried to the north country. To this day they have not come back. Therefore, it is safe to presume that they are lost sheep belonging to the house of Israel. And then there was the remnant of the tribe of Joseph, which ran over the wall and became the people of the Book of Mormon. As far as the Jews in Palestine are concerned, they too were lost sheep from the house of Israel. In their record they tell of an event where Jesus Christ appeared to them after His resurrection and they heard His voice. More than that, the Book of Mormon tells us that while Jesus was with them He established a second church, after the same manner of the one He built in Jerusalem. However, His work was not yet finished. He told the people in America, "Verily, verily, I say unto you that I have other sheep which are not of this land, neither of the land of Jerusalem, neither in any parts of that land round about whither I have been to minister. For they of whom I speak are they who have not as yet have heard my voice; neither have I at any time manifested myself unto them. But I have received a command from the Father that I shall go unto them, and that they shall hear my voice, and shall be numbered among my sheep, that they may be one fold and one shepherd; therefore I go to show myself unto them" (3 Nephi 16:1-3). Although we have no record of this visit, we can safely assume He also established a church among these other lost sheep who belonged to the house of Israel, which would then bring the total number of churches to at least three. But which wilderness was it that had been prepared for the church? In every age the devil, "that old serpent" has always persecuted the church whenever it tries to bring forth the gospel to mankind. But the church was given "two wings" like that of a great eagle. What does that mean? Isaiah talked about "the land shadowing with wings, which is beyond the rivers of Ethiopia" (Isaiah 18:1). As discussed earlier, this was the continent of North and South America. Truly this continent looks like the wings of a great eagle. Furthermore, it was a wilderness. Also, in John's vision he saw "the serpent cast out of his mouth water as a flood after the woman, that he might cause her to be carried away of the flood. And the earth helped the woman, and the earth opened her mouth and swallowed up the flood which the dragon cast out of his mouth." In the days of Peleg the earth was divided, thereby literally swallowing a large amount of water. This separated the wilderness of America from the wilderness of the Middle East, thereby preventing Satan from attacking this church by using the Roman Empire. The waters acted as a wall or barrier which protected the church which was hidden from the face of the serpent where it was nourished in the wilderness for "a time and times and half a time". How long is a time, and times and a half time? We don't really know because the scriptures don't clearly tell us. But if a "time" is equal to 100 year, then "times" would be 200 years and "a half time" would be 50 years. If that is the case then that would be equal to 350 years. According to the time line given in the Book of Mormon, Christ established his church among the Nephite people after His resurrection, which would place the event at 34 A.D. The final battle at the hill Cumorah which completely annihilated the Nephites took place at 385 A.D. It was at that time when the enemies of Christ fully destroyed the church that Jesus had established. The difference between 34 A.D. and 385 A.D. is 349 years. It is possible that the time line of the book of Mormon could be off by one year? However, before that great battle, "the dragon was wroth with the woman (the church in Palestine), and went to make war with the remnant of her seed, which keep the commandments of God, and have the testimony of Jesus Christ." The remnant spoken of here refers to the saints who lived under the Roman Empire's thumb. During this period of persecution the church which was hidden in the wilderness was safe from Satan's attacks for a time. However, when the times had ended, eventually the dragon also made war with this remnant of the seed of the church. The Book of Mormon is even clearer about this. In 1 Nephi 13:1-8, 34 we read, “And it came to pass that the angel spake unto me, saying: Look! And I looked and beheld many nations and kingdoms. And the angel said unto me: What beholdest thou? And I said: I behold many nations and kingdoms. And he said unto me: These are the nations and kingdoms of the Gentiles. And it came to pass that I saw among the nations of the Gentiles the formation of a great church. And the angel said unto me: Behold the formation of a church which is most abominable above all other churches, which slayeth the saints of God, yea, and tortureth them and bindeth them down, and yoketh them with a yoke of iron, and bringeth them down into captivity. This is a second beast that John is telling us about. The first beast comes out of the sea, but the second one from earth, having two horns like a lamb. Every one knows that, symbolically speaking, the lamb is Jesus. However, even though this second beast has the appearance of a lamb it is speaking as a dragon, and every one knows that the dragon is symbolic of Satan. Speaking about this second beast who has the appearance of a lamb (i.e., Jesus) Revelation 13:12 tells us, “And he exerciseth all the power of the first beast before him, and causeth the earth and them which dwell therein to worship the first beast/” In other words, this second beast will have the same power of the first beast, which is the Roman empire, and cause people to worship the first beast. This is very simple passage to understand. The Roman emperor was known as the “pontefix maximus,” or the high priest of all religion in the empire. The reason why there were Christian martyrs is because they always refused to worship the emperor. As for the woman is called the mother of all harlots, it isn’t hard to determine who she is because all we have to do is look at the false doctrines, such as the trinity, that came from her. The second thing we learn from this verse is that Jesus Christ is going to reveal to John events that will "SHORTLY come to pass." In other words, these are things that will happen in the near future. What we must keep in mind is that what was the near future for John is now the distant past for us. In the first three chapters we read of warnings given to seven specific churches. What is interesting to note is that the church at Rome is not mentioned as one of them. The Catholic church claims that the church at Rome always presided over the entire church. The bishop of Rome is known as the Pope. The Catholic church also believes that it is the Pope who is the “Vicar of Christ” or God’s spokesman. As such, he claims the right to receive revelation for the church. 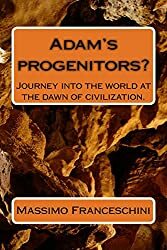 They further claim that there is an unbroken line in the succession of Popes from the present day all the way back to Peter, who they say was the first Pope. The question we need to ask ourselves is, why was John receiving this revelation for the church rather than the Pope at Rome? We also need to keep in mind that at the time that this revelation was given, John was the last living apostle alive. So it appears that he, rather than the Pope in Rome, was in charge of giving direction and counsel to the church. From these verses we can assume that this false religion would have great temporal and political power, because the kings nations of the earth are made drunk with the wine of her fornication. According to the above scripture the leaders of this religion would be dressed in purple and scarlet. Have you ever looked at the Cardinals of the Catholic church? That describes the way they are dressed, and they are the ones who chose the pope. The scriptures also say that the “whore” would be “decked with gold and precious stones and pearls. Take a look at what the cardinals wear and you will see many rings on their hands and crosses around their neck all of which are full of jewels. martyrs of Jesus: and when I saw her, I wondered with great admiration." Remember that all of this was in the future as far as John was concerned, but may very well have happened in the past as far as we are concerned. If that is true, could John be describing the "Holy inquisition?" The "Holy inquisition" was a practice during the dark ages in which the Catholic church killed anyone who disagreed with their religious view. Girolamo Savonarola was burned in Piazza della Signoria during this period of time simply because the people of Florence loved him so much. The church therefore viewed him as a potential danger to their authority and had him executed to remove any power he might achieve for himself. The above quoted scripture also stated, "With whom the kings of the earth have committed fornication." Have you ever thought about the sale of indulgences by the Catholic church? This was a practice whereby rich people could pay a certain amount of money to be forgiven of their sins. There were many Catholic priests who strongly disagreed with this practice, including Martin Luther, and who were ordered killed because of their opposition. Have you ever heard about masses for the dead? This is where people could pay a certain amount of money to transfer a person from purgatory to heaven. According to what John was shown, this church was situated in a city that sat atop seven hills. Although Rome does sit atop seven hills, perhaps John saw some other city, maybe like Moscow or Denver. But in verse 18 we read, "And the woman which thou sawest is that great city, which reigneth over the kings of the earth." There can be no doubt this is Rome! Catholics believe that John is referring to the Roman empire as the beast, but at the time of this empire, almost the entire known world was part of it! How could they rule the kings of the earth when there were no kings? ABOMINATIONS OF THE EARTH."? If this is referring to the Roman Empire, then the Catholics should keep in mind that Emperor Constantine the great, made THE CATHOLIC CHURCH, the church of the empire. As such they came out from THE MOTHER OF HARLOTS AND ABOMINATIONS OF THE EARTH. Before you read the following verses please keep in mind the history of man from the first century until the Middle Ages, including such things as the holy inquisition, and the political power that the Catholic church had during that time. In Revelation 18:1-9 we read, “And after these things I saw another angel come down from heaven, having great power; and the earth was lightened with his glory. And he cried mightily with a strong voice, saying, Babylon the great is fallen, is fallen, and is become the habitation of devils, and the hold of every foul spirit, and a cage of every unclean and hateful bird. For all nations have drunk of the wine of the wrath of her fornication, and the kings of the earth have committed fornication with her, and the merchants of the earth are waxed rich through the abundance of her delicacies. “And I heard another voice from heaven, saying, Come out of her, my people, that ye be not partakers of her sins, and that ye receive not of her plagues. For her sins have reached unto heaven, and God hath remembered her iniquities. Reward her even as she rewarded you, and double unto her double according to her works: in the cup which she hath filled fill to her double. How much she hath glorified herself, and lived deliciously, so much torment and sorrow give her: for she saith in her heart, I sit a queen, and am no widow, and shall see no sorrow. According to history, the Catholic church was the only Christian church until the end of the first millennium. Therefore, if John is not speaking about the Catholic church then which other could he be referring to? From this description it is clear that the second beast, having the same power as the first, will have the power to work false miracles which will cause people to worship him. Originally, the Roman emperors required its people to worship him as a god, but the saints of the true God never would worship him. But, after the persecutions and after the foundation of the church by Constantine (now called the Catholic church), the saints were mislead. In Revelation 13:7 we read, “And it was given unto him to make war with the saints, and to overcome them: and power was given him over all kindreds, and tongues, and nations.” When it says “IT WAS GIVEN” that shows that God allowed this to happen. But why would God do such a thing? Because of the iniquity in the church. The second beast was born to put in force a world dominion and to confound mankind. In fact, this beast had the appearance of the power and authority of the church of Jesus but spoke, or, in other words, taught the doctrines of the dragon. Then in chapter 18 John repeats the same warning for Rome or Babylon “Standing afar off for the fear of her torment, saying, Alas, alas, that great city Babylon, that mighty city! for in one hour is thy judgment come” (Revelation 18:10). In Revelation 18:20-24 we read, “Rejoice over her, [thou] heaven, and [ye] holy apostles and prophets; for God hath avenged you on her. And a mighty angel took up a stone like a great millstone, and cast [it] into the sea, saying, Thus with violence shall that great city Babylon be thrown down, and shall be found no more at all. It is very simple to see what happened with the birth of the Catholic Church. We need to remember that this was the only church until the end of the first millennium. This church came into existence because of the will of Constantine, which means that the church became an extension of his power over his empire. After the fall of the Roman empire this woman (i.e., church) had great power. In many cases she decided on wars and the fate of many people, including kings. During the Middle Ages kings usually received their crown from the Pope. This was true for Napoleone Buonaparte, and that was just two centuries ago! Don’t forget that the Roman empire even though it was mortally wounded was in some way restored and lasted until the middle age. So we can understand why one head was wounded but was able to live again. This woman is also defined as the mother of all harlots because from her came many of the philosophies of man. The Protestant movement tried to correct this situation but they could not bring about the restoration of the Gospel as foretold in the Bible. And the reason is because they didn’t have the authority and power from God. As John foresaw and declared, that restoration came about by an angel who would bring the gospel again to the earth. This is was foretold in Revelation 14:6 where we read, “And I saw another angel fly in the midst of heaven, having the everlasting gospel to preach unto them that dwell on the earth, and to every nation, and kindred, and tongue, and people.” The purpose of God is to save mankind by His laws and ordinances. The purpose of Satan is to pervert the plan of God. Clearly the best way to do that is to corrupt God’s laws and ordinances through a false church. to introduce a new church that had the appearance of godliness but which taught the doctrines of the Devil. It had the power of the first beast to persecute the saints while claiming it to be a “universal religion.” Jesus never intended His church to be united with the state. He declared “my kingdom is not of this world” and when the people tried to make Him a king he refused. Satan tempted Him by showing Him all the kingdoms of the earth and told Him that he could have them all, but Jesus refused. The second beast had power over all the kings of earth, while the true church of Jesus Christ had nothing to do with the kingdoms of the world. Let’s look now at how the Catholic church came into existence. We all know that the Roman Empire unleashed terrible persecution against the saints. Under Massimino Trace (235-238) the two bishops of Rome, Ponziano and Ippolito, were martyred. Under Decio (249-251) the persecution became the most violent. Every citizen was required to offer sacrifices honoring the Roman Gods. After they had properly worshipped they received a receipt showing they had complied with the law. Those who did not possess such a receipt was killed. Valeriano (257-259) focused primarily on eliminating the Christian leadership. Under DIOCLEZIANO (303-305) the church faired much better because in some ways he appreciated it. Nevertheless, he still considered it too invasive, feeling like it was a state inside the state and therefore too dangerous for the stability of the empire. It is reported that his wife and daughter were close to be baptized. Before Diocleziano began to eliminate Christians from society in general, he began by eliminating them from his army. He did this by offering them a choice. They either had to offer sacrifices to the Roman Gods and to the emperor or they had to get out of the army. But as time went on, he took his campaign to the general public. Between 303 A.D. to 305 A.D. Diocleziano issued four edicts One of them forbid Christians to meet or worship in churches or in homes. The penalty for doing so was to have all of their goods confiscated. A second edict was given that all of their scriptures were to be burnt. Another edict ordered that the leaders of the church should be arrested and could only be set free by renouncing their church. The way they could do this was by offering sacrifices to and worshipping the Roman gods as well as the emperor, which was what every person in the empire was required to do under penalty of law. At first only the leaders of the church were put to death for failing to obey this edict, but before long even the common Christian was put to death if they did not comply with the emperor’s orders. History clearly documents that there was a slow but steady decay of spirituality within the Christian faith. Not only does the apostle Paul mention this problem in all of his epistles but we see this in the writings of others who came after his death. A man by the name of Egesippo was a great Christian historian who lived between 110 and 180. He was born in Palestine but converted to Christianity. He wrote a four volume book called “Ipomnemata” which is a Greek word meaning “memories.” Unfortunately all that is left of his work is only some fragments. 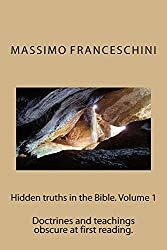 The reason we know that he wrote these books is because they are mentioned by other Christian writes, such as Eusebius of Cesarea in his book “Ecclesiastical History” which was the first written history of the church. From his work we read, “When the sacred choir of the Apostles was over and the generation of those who had the privilege to listen to their inspired wisdom was over too, then came out false doctors and many heresies. These false doctors, being not alive any apostles, from then on they were trying to preach their false doctrine against the gospel of truth” (cfr Eusebio of Ceasarea). Another interesting thing is that the New Testament was written in Greek and if we consider that the New Testament covers the first 70 years of Christian history, most of it after the death of Jesus, then the natural question would be, why was the word “catholic” totally unknown, especially if this was the name Christ supposedly gave to His church? Another interesting thing is that the Catholic Church did not call itself by that name until 312 A.D. when Constantine built the Catholic church. There was a purpose behind it.